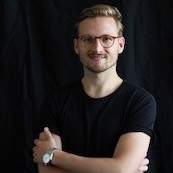 Damian Heimel is co-founder and COO of deevio, a Berlin-based AI startup for industrial quality control. Prior to founding deevio, he spent two years as a venture developer at Viessmann’s deep tech company builder WATTx, from which deevio emerged at the end of 2018. Damian studied Business Administration at the LMU in Munich and Fudan University in Shanghai.